Here is your chance to own a unique catamaran sailboat that will add loads of excitement to your summer months. This is the catamaran that inspired Hobie. This 1982 Sea Spray 15 is a computer designed catamaran with both main and jib. 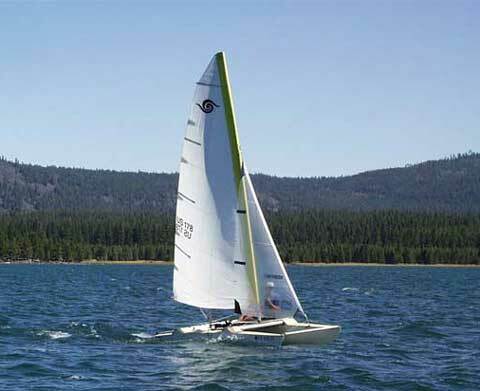 This one has both a recreational mast with good dacron sails and a light-weight racing mast with newer mylar sails. The unique hull sandwich construction makes the Sea Spray both light and stiff and features the latest straight symmetric design with daggerboards. 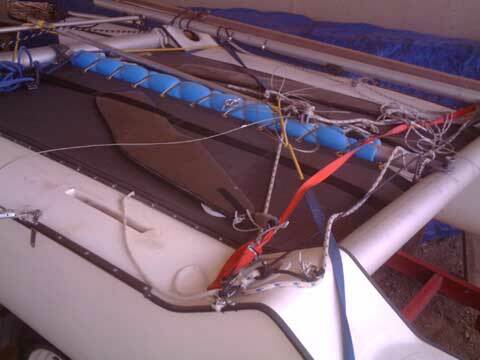 The new trampoline and bow compression tubes keep the hulls parallel and stable. She has breathtaking single-handed performance for racing, but is often sailed recreationally with two. Because of its lightness, Sea Sprays are easily rightable by one person although it is rare that one needs righting. She beats other cats and many monohulls by sailing amazingly well 45 degrees into the wind. 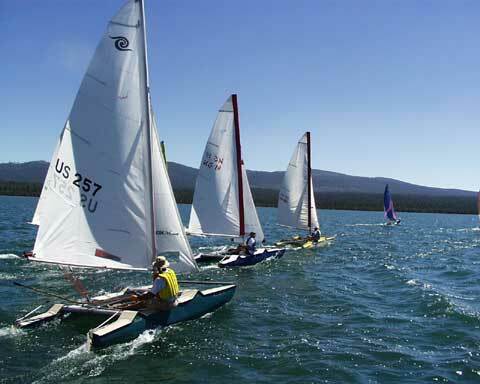 There are over 4,000 Sea Sprays sailing in North America with two active racing associations in Canada and the USA. This one is in great shape and has been stored inside while I have owned it. She comes with her own newer custom trailer and is ready to race and sail. 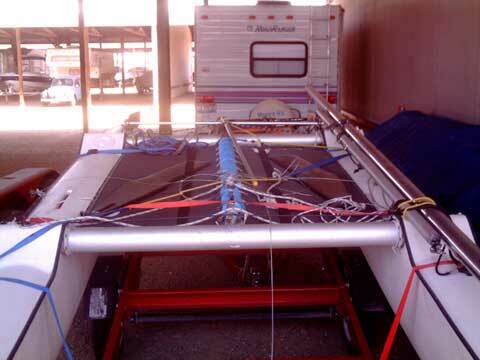 The price for this Sea Spray and trailer is $1,095, less than half the actual replacement cost. HI Alison, I have decided to keep this boat until next season and would like to cease the listing.